Greg's martial arts training began at the age of sixteen learning Tracy's Kenpo under 9th degree black belt Ralph Chinnick. Greg currently holds his 2nd Dan (2nd degree black belt) in that style. At age nineteen, he added the study of Muay Thai kickboxing under Jason Chinnick and has competed and won awards in multiple kickboxing competition events including his biggest accomplishment to date, the IKF Amateur Welterweight World Title. John shares the Head instructor role with Greg and is Greg's acting coach and cornerman. John began his study of martial arts at the age of 8 at Canada’s Best Karate (CBK). At the age of 13 he received his black belt under the instruction of Sensei Leigh Mueller. At 14, he began participation in CBK’s Instructor Program and began teaching part time. He completed the program at the age of 16 and acted as one of the 2 instructors at his dojo. During his time at CBK he met Adam Zugec and was given the opportunity to learn Brazilian Jiu-Jitsu. Brendon started his kickboxing journey with the Unlimited family and has accomplished a lot since then. With his insane athleticism, seemingly innate ability to understand anything he is taught, his ability to apply it in competition and his contagious positive energy, Brendon brings a dynamic to our school that wouldn't feel the same to be without. He boasts a kickboxing record of 7 wins and 1 loss with two of those wins taking place in a WAKO tournament called the Scandinavian Open. 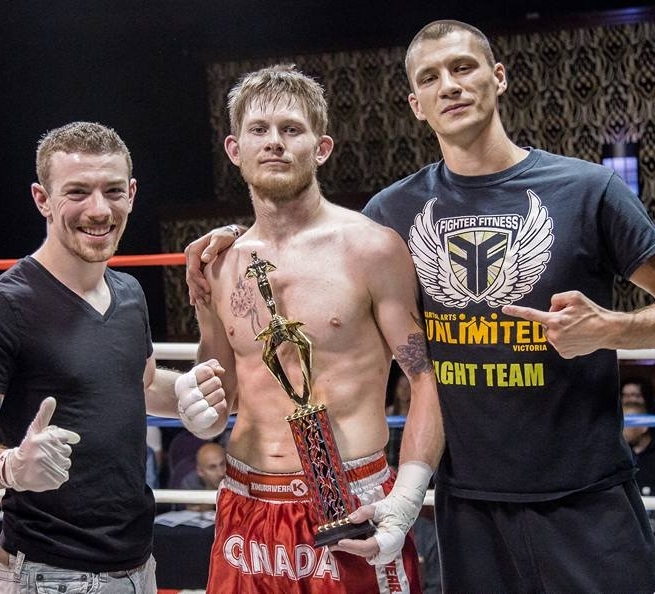 He entered the tournament on a whim knowing it hosted some of the Scandinavian nation's best kickboxers and he became the first Canadian to ever win gold. Around the gym, he is known as Coach Wolf.